Think of it as a vacation in a tube. 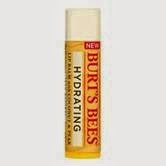 Infused with coconut oil and pear extract, it leaves your lips feeling hydrated, and should be a beach bag essential wherever your travels take you! These are ideal for freshening up after spending hours at the beach. 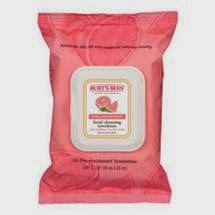 They remove dirt, makeup and oil, and are formulated with refreshing pink grapefruit extract. One of the best ways to cool down after a day of activities in the sun. This intensely hydrating, quick-absorbing face and body lotion is packed with natural aloe vera and linden extract to soothe skin. 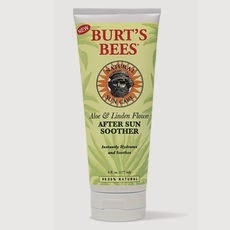 Coconut oil, bee pollen and glycerin nourish your skin and help replenish with natural moisture. I love Bert's products. He is from Maine originally and didn't live far from where I do. All natural products are so much healthier.